A fresh, organic problem for Amazon. The time is ripe for Jeff Bezos to work his business acumen on an area of the US food system that’s been slowly growing for years: organic food. And with his purchase of Whole Foods Market earlier this month, he’ll have even more reason to try and convince US farmers to join him. The meteoric growth of Whole Foods over the last several decades has been a testament to the growing popularity of natural and organic foods in America. The Organic Trade Association estimates those foods now account for 5% of total food sales, or $47 billion. That’s still a tiny sliver of food sales. But even before the Amazon acquisition, people in the industry were saying that number would jump to about 10% in coming years. Now that Amazon—with a much broader consumer base than Whole Foods—has officially picked up the natural-and organic-foods mantle, previous growth estimates might actually be conservative. But there’s a problem for Bezos if he wants to make organic food as ubiquitous as an Amazon-branded delivery box. 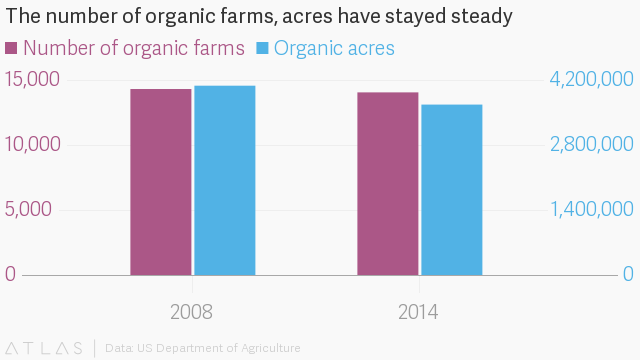 As demand for organic fruits and vegetables has grown, the number of acres used to farm those crops has remained about the same. One of the reasons is that it’s particularly onerous for farmers to switch from conventional farming techniques to organic. The government requires they create a three-year plan for how they will transition to accommodate more rigorous standards. The idea is that it takes about three years for conventional soil to contain the nutrient levels needed for organic certification. Organic crops must be rotated, and farmers must follow stricter standards for pest management and erosion control, among other things. During that three-year transition period, farmers essentially go through the motions required for growing organic foods, but they have to sell it as conventional food at conventional prices. But if Amazon manages to give more people cheaper access to organic foods, there will be an incentive to push more farmers to go through that process, says Maggie Monast, a sustainable sourcing expert at the Environmental Defense Fund. 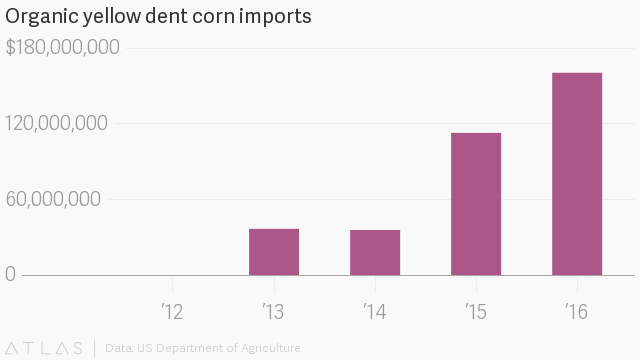 For now, the US has relied on importing organic vegetables and fruits from other countries to make up the difference—something some experts remain dubious about (paywall) when there are instances of imports of so-called organic corn and soy from China, for example, that have been found to be fraudulent. Can Bezos overcome the challenges of producing more organic food the way that he overcame the books trade and then pretty much every bricks-and-mortar retailer? We’ll find out soon enough.